For over twenty years, Thomas Throop (pronounced Troop), has created elegant, detailed forms that are visually powerful and serve his clients’ functional needs. His designs respond and relate to their surroundings while standing distinctly on their own merits, a difficult balancing act. Though his undergraduate degree is in economics and photography, his schooling in the fine art of building with wood began decades earlier as he helped his uncle, a boat builder and antique restorer, during the summers. After college he spent several years learning the craft of house restoration. He decided to refine his skills by moving to Dorset, England where he attended a two-year program at the John Makepeace School for Craftsmen in Wood. Makepeace is one of England’s finest contemporary furniture designer-makers. This experience opened Throop to the possibilities born of design and handcraft skills, exposing him to the ideas of the English Arts and Crafts movement and its continued relevance today. While deeply rooted in the expression of the wood itself and the time honored craftsmanship of the past, Tom’s furniture is ultimately contemporary. Since returning to the United States in 1992, Throop has specialized in designing and building one of a kind furniture. 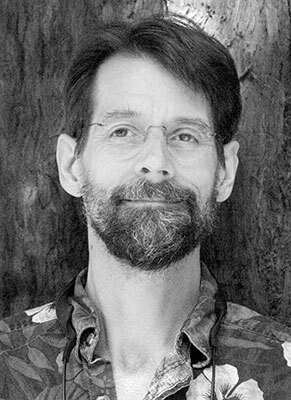 In addition to having his pieces purchased for significant public and private collections, he has won numerous awards such as the prestigious Wharton Esherick Prize, and has been featured in many publications, including Dona Meilach’s Wood Art Today, Kerry Pierce’s Custom Furniture Source Book – A Guide to 125 Craftsman and House & Garden Magazine. He has shown at over 100 juried exhibitions, including Architectural Digest Design Show in New York City and the renowned Smithsonian Craft Show in Washington, DC. His work is in private collections in the US, UK and Turkey. Public collections include the White House Ornament Collection in Washington, DC. Mr. Throop’s work has been exhibited in various galleries across the US and in London, England. Mr. Throop’s studio, Black Creek Designs LLC, is located in the center of New Canaan, CT at 26 Grove Street. He resides in the seaside village of Rowayton, Connecticut with his wife, Kelley, an attorney.